Hong Kong, The HKTDC Hong Kong International Medical and Healthcare Fair (Medical Fair) will take place at the Hong Kong Convention and Exhibition Centre (HKCEC) from 14 to 16 May. 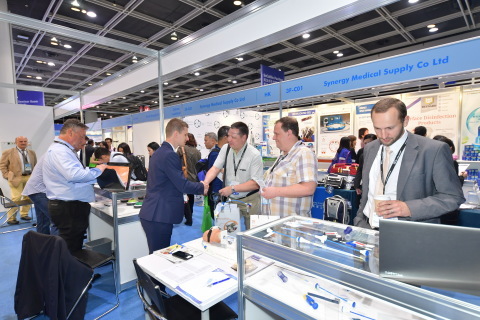 Organised by the Hong Kong Trade Development Council (HKTDC) and co-organised by the Hong Kong Medical and Healthcare Device Industries Association (HKMHDIA), the 10th edition will gather over 280 exhibitors from 10 countries and regions, showcasing the latest medical devices and technologies, medical supplies as well as healthcare products. In 2018, the fair attracted more than 11,500 buyers from 70 countries and regions. The Hong Kong government has been actively promoting the development of biotechnology in the SAR. In response to the latest export market trends, the Medical Fair is highlighting the sector by bringing biotechnology-related exhibitors together to showcase state-of-the-art biotechnology products and services. The returning Startup Zone presents innovative ideas and helps connect startups with manufactures, buyers and potential investors. The World of Health & Wellness zone spotlights lifestyle products such as fitness supplies and health supplements, functional foods and more. Other dedicated product zones include Building Technology and Hospital Furniture, Medical Supplies and Disposables, Rehabilitation & Elderly Care and Hospital Equipment. Industry trends and information will also be on offer through a series of seminars and buyer forums. Experts including those from Hong Kong Science and Technology Parks, Hong Kong Standards and Testing Centre and China Medical Devices Magazine will be invited to share insights on the latest medtech and healthcare tech, outlook for the medical industry as well as regulatory updates of the medical devices and supplies sector. Buyers can learn new product features and demonstrations. The Hospital Authority Convention 2019 (14-15 May), an annual gathering for medical and healthcare professionals, continues to be held alongside the fair to create business synergy.